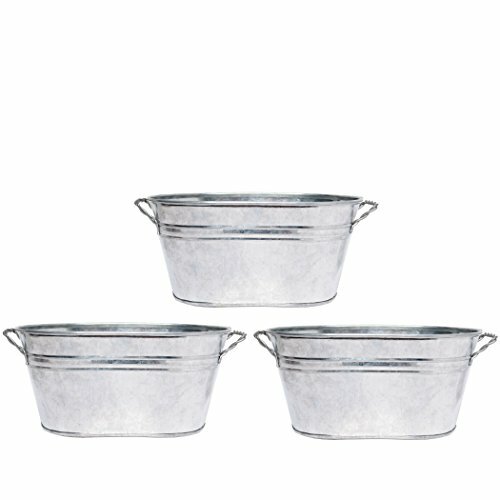 Hosley's 3 Pack of Galvanized Oval Planters - 8" Long. Ideal Gift and Use for Weddings, Special Events, Parties, Outside Planters. Each planter measures 8" L x 5" W x 3.5" H. Must use watertight liners if used with fresh flowers. For decorative use only. MEASUREMENTS/MATERIAL: Each one measures 8" L x 5" W x 3.5" H, with a pack of 3 and made of iron.